Japanese chef Ryosuke Harada is on a mission: To spread the word of sushi, one omakase meal at a time. 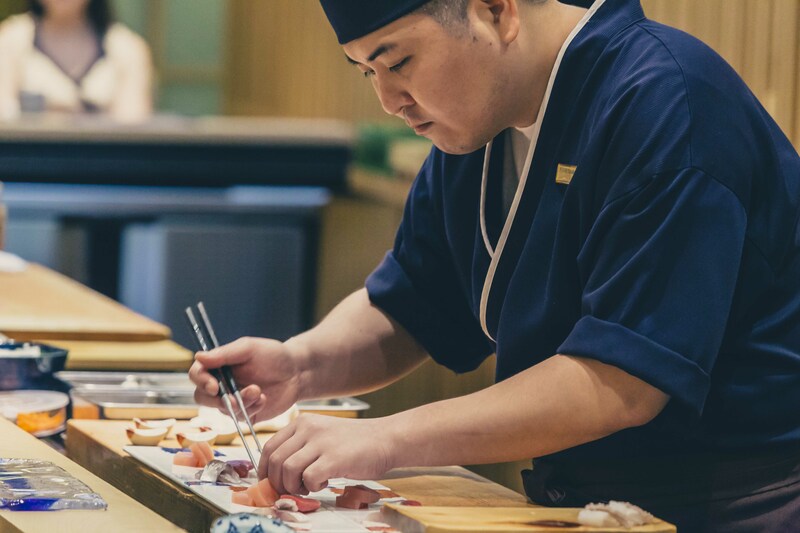 Whether it’s revealing the secrets behind an expertly assembled Osaka-style oshizushi (a type of pressed sushi), or delving into the history of sushi, he’s devoted to sharing the stories behind the food he prepares at Sushi Mitsuya, where he is head chef. Which is why dining at his restaurant feels akin to an educational experience. Most of the dishes are introduced with elaborate descriptions of their ingredients, roots or random trivia. At a recent visit, he enlightened us on the origins of Tokyo-style nigiri sushi, which was invented by Hanaya Yohei in the 19th century. Yohei came up with the concept of layering fresh fish atop rice, in response to the demand from time-pressed Edo residents for convenient meals. He sold his nigiri sushi from a wooden box he carried around the streets, and it caught on in popularity. “It was something easy to eat, almost like fast food during that time,” said Harada, adding that prior to Yohei’s invention, sushi was traditionally crafted using marinated fish and rice, which was laborious to prepare. 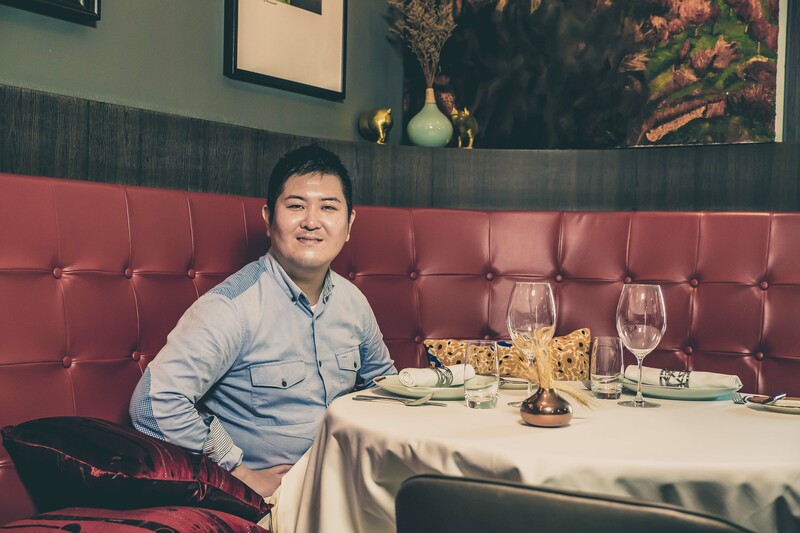 As we dug into our lunch of pigeon breast, green asparagus and well-marbled beef at Nicolas Le Restaurant, his favourite French eatery, the 37-year-old regaled us with other intriguing tales about sushi and his love for it. Born and raised in Tachikawa, a city in Tokyo, Harada was four years old when he tasted sushi for the first time during a New Year family dinner. “My grandmother ordered a sushi platter every year. This was a treat because sushi was expensive. I found it delicious, and wanted to eat it all the time,” he said. Save for these gatherings and occasional meals at a sushi conveyor belt restaurant — a reward for good behaviour — Harada seldom got to indulge in his favourite food. So, at the age of seven, he vowed to become a sushi chef when he grew up. “It was the easiest way for me to eat it every day,” he quipped, laughing. Harada made good on his promise. 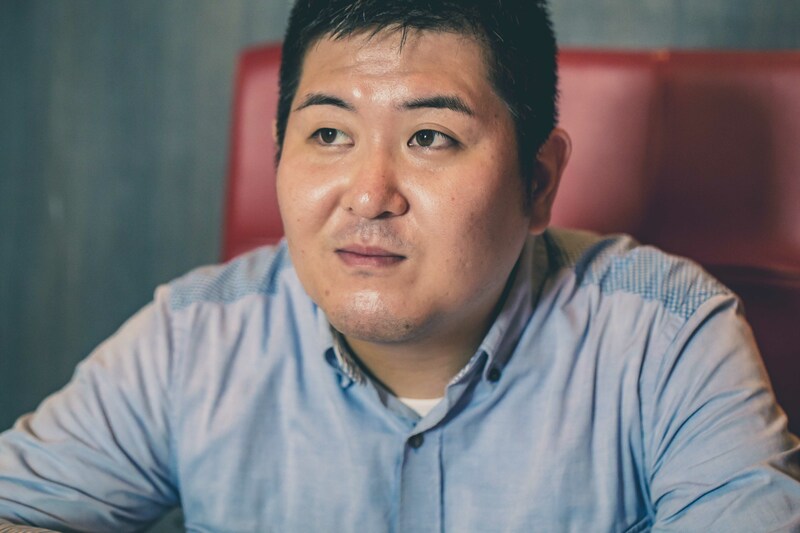 After graduating from high school at 18, he found work at Asahizushi Sohonten, a chain restaurant in Tokyo. He was tasked with multiple roles including bussing tables, being on cashier duty, washing plates, and — of course — making sushi. Like most kitchens, Asahizushi’s was a tough environment. The head chef was short-tempered and often hit and scolded Harada and the other staff. But Harada bears no grudges, and credits that chef for training him in marinating fish and slicing ingredients the right way. “Making sushi is all about the small details,” he explained. Over the next eight years, he was rotated to different Asahizushi outlets in the city and gradually rose through the ranks. His bosses intended to appoint him as a manager, but Harada wasn’t keen as he wanted to cook. On a friend’s recommendation, he left the business for Hong Kong, and scored a job at Sushi Hiro. The restaurant, which had two branches in Tsim Sha Tsui and Causeway Bay, served everything from rice bowls to tempura and sushi. Harada worked at the Causeway Bay outlet as a shop master — its equivalent of a head chef role where he was in charge of the sushi counter and omakase sets. Interacting with the customers was challenging at first, due to the language barrier. Determined to overcome this, Harada started learning basic Cantonese phrases and words for fish names. He even visited a nearby cha chaan teng (tea shop) almost daily — so he could befriend the staff and practise his linguistic skills when chatting with them. Within two years, Harada could confidently hold conversations in Cantonese. He also picked up English over time. “If a customer is focused on the food, and the food is good, he can enjoy himself without my speaking to him. But communication makes the experience more enjoyable,” said Harada. In 2011, he returned to Japan to become sous chef at the now-defunct Sushi Sora, an upscale omakase restaurant at the Mandarin Oriental Tokyo hotel. He missed home, and was also curious about working in a hotel. The restaurant was small and intimate, with only eight seats against a cypress wood counter. It was also known for its stunning views of the city skyline and Tokyo Skytree, the world’s tallest tower. Sushi Sora’s close quarters meant Harada had to fully engage and converse with the diners — which he found daunting in the beginning. “Japanese customers tend to focus on the food and how the chef serves food and talks to them. In Hong Kong, I just needed to speak Cantonese and the customer would be interested,” he said. 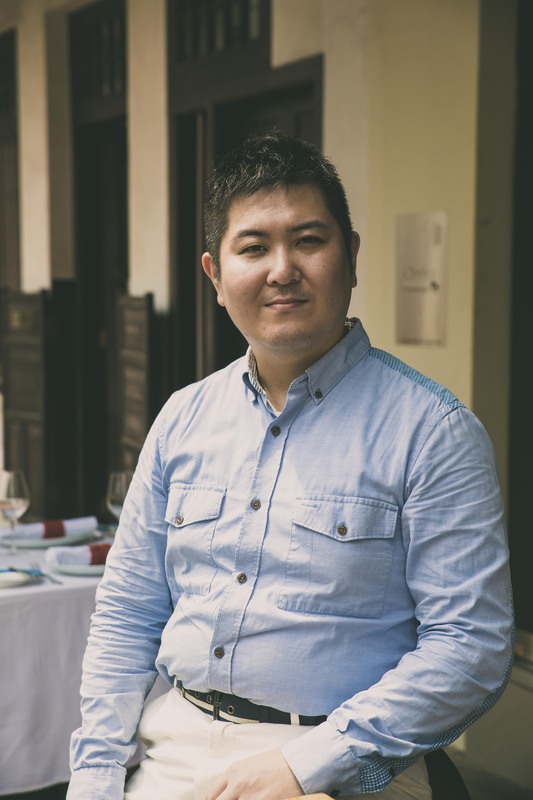 He stayed there for a year and a half, before a former regular customer from his Sushi Hiro days contacted him with a tempting proposition: To open a sushi restaurant together in Singapore, where Harada would be head chef and responsible for planning its concept and menu. 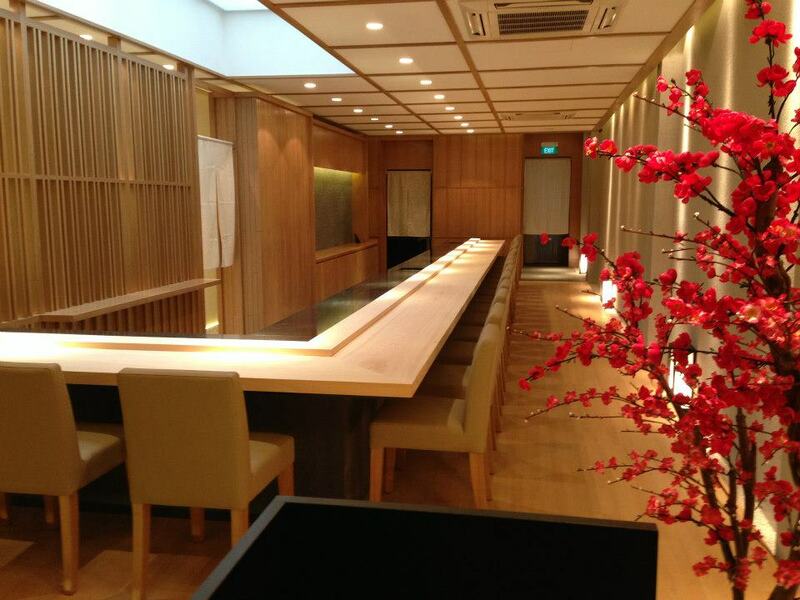 Harada agreed, and Sushi Mitsuya launched in February 2013 — barely a month after he relocated to Singapore. His vision for the restaurant was a simple one: To make sushi accessible to people. Whether you’re curious to know the difference between anago and unagi (both are eels, but the former is from the sea and the latter from freshwater sources like rivers), or why maguro (tuna) is named as such (it was originally called ‘makkuro’, which means ‘very black’ because its colour tends to darken. Over the years, this evolved to ‘maguro’), there are no stupid questions at Sushi Mitsuya. Located at Tras Street, his restaurant is a cosy space with an 18-seater hinoki wood table. It presents a fully omakase menu crafted with the season’s bounty. Harada imports most of his seafood four times a week from Tsukiji market, and fish twice a week from Hokkaido and Kyushu. 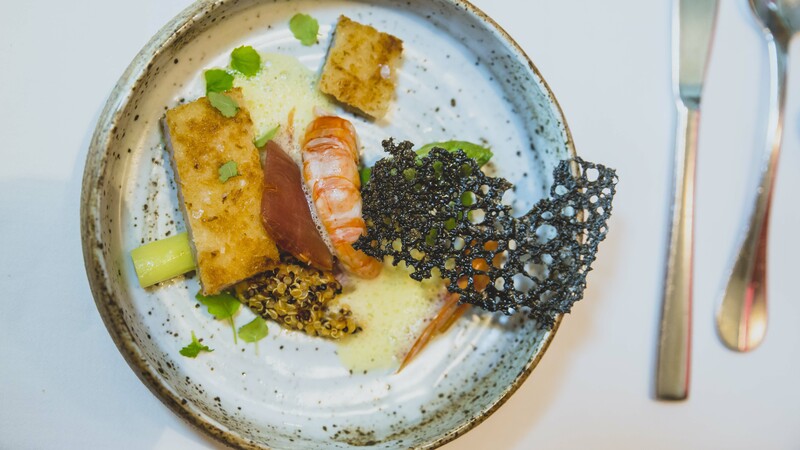 Recent ingredients in his larder include shirako (milt) and sanma (Pacific saury). 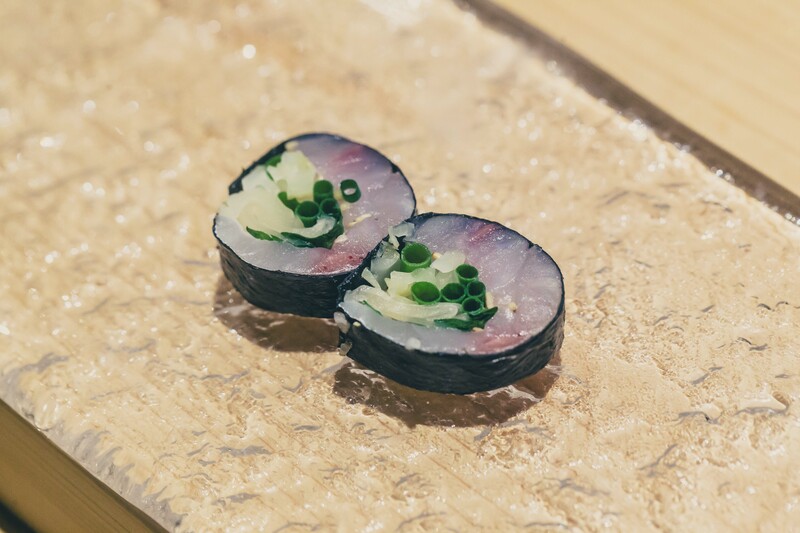 While his repertoire largely depends on what’s available, he does have a signature creation: Discs of horse mackerel speckled with ginger, pickles and shiso leaves, and sheathed in seaweed. It’s a throwback to ‘70s and ‘80s Japan, when it was a popular offering at sushi restaurants. “These days, you don’t see this dish much, because it’s considered old-fashioned. About 40 years ago, many restaurants were serving it. Then in the ‘90s onwards, everybody changed concept, like robots making sushi,” he said, chuckling. 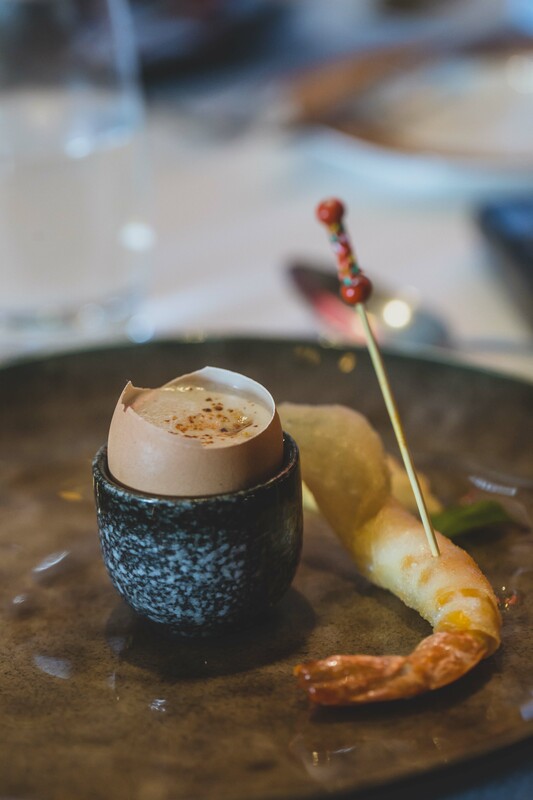 Highlights of our lunch there included a steamed egg paired with a juicy Madagascan prawn wrapped in crispy spring roll skin, green asparagus accompanied by Sicilian prawn and squid ink tuile, and fork-tender slabs of Ranger Valley beef with potato foam. 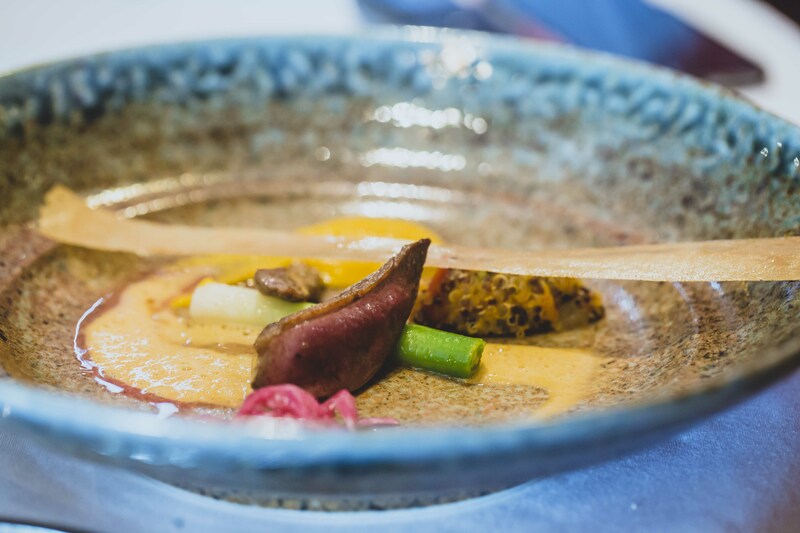 Harada’s favourite was the pigeon breast, which was seasoned with Vadouvan — a spice mix that tastes like garam masala — and complemented with a sweet purée made from Carotte de Sables, a type of carrot obtained from the sandy soil of Normandy’s seaside. “This place does pigeon so well. The combination of flavours with the spices is interesting, and I love the texture and taste of the purée,” he said. Apart from keeping busy at Sushi Mitsuya, Harada is now thinking of starting a second eatery targeted at the CBD office crowd, perhaps a “mass-market donburi or chirashi shop with reasonable prices, like the ones in Japan”. But ultimately, his end goal will always be to open diners’ eyes to the wonderful world of sushi.